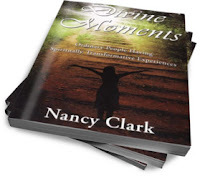 Nancy Clark's life was transformed forever by a near-death and a near-death-like experience that resulted in her passion to show us that humans can experience the reality of their true, authentic self - the self that is rooted in the divine and brimming with love for all humanity. She has been researching spiritually transformative experiences for thirty years and now in this groundbreaking book, she has compiled diverse spiritually transformative experiences happening to ordinary people today. The experiences are varied and include near-death and near-death-like experiences, out-of-body experiences, after-death communications, spiritual awakenings, religious conversion experiences, meditative and prayerful experiences, and mystical experiences.  Learn how these individuals awakened to a new understanding of their deepest assumptions about the eternal questions: Why am I here? Where am I going? What is the purpose of life?  Learn how their inner wisdom can assist all of us in understanding that we are more than biological beings; we are spirits of consciousness that are gifted with a love born of our divine nature.